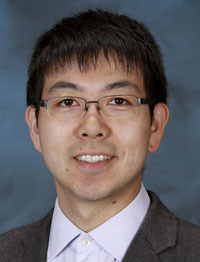 Yue Fan is an Assistant Professor in the Department of Mechanical Engineering. The primary research interest in his group is to provide a substantive knowledge on the mechanics and micro-structural evolution in complex materials systems under extreme environments via predictive modeling. In particular, they focus on describing highly disordered systems (such as glasses, grain boundaries, etc) from the perspective of potential energy landscape (PEL), and correlating materials properties with their underlying PEL structures. The ultimate goal is to facilitate the development of new science-based high performance materials with novel functions and unprecedented strength, durability, and resistance to traditional degradation and failure.